Welcome to Thorne Plumbing, Heating, and Air Conditioning! Welcome to the home of Thorne Plumbing, Heating, and Air Conditioning, a certified Lennox Dealer located in Zanesville, Ohio. Thorne Plumbing, Heating, and Air Conditioning offers a wide variety of services ranging from plumbing to heating and cooling. All of our services are provided by professionally trained and certified technicians. With over 49 years of plumbing and HVAC experience, you can have peace of mind knowing that any of the services provided by Thorne Plumbing, Heating, and Air Conditioning will be done by a professional and knowledgeable staff. We would be glad to lay out all of your options as far as plumbing, heating, and cooling for your home. 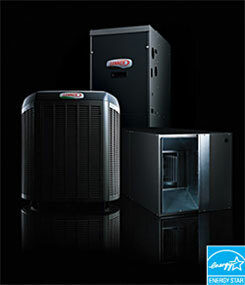 We want you to be able to make the best educated choice when choosing a heating or cooling unit for your home. Check out our Lennox products, which include Furnaces, Air Conditioners, Heat Pumps, Packaged Units, Indoor Air Quality Systems, Air Handlers, Comfort Controls, and Boilers. We are also a Generac dealer, so ask about our home generator systems when you call. At Thorne Plumbing, Heating, and Air Conditioning, we strive to meet or exceed every customers’ home comfort needs, backed by Lennox’s high quality products. We specialize in residential and light-commercial repair, service, and equipment replacement. Browse our site or call 740-452-8217 or 888-452-8217, today for more information on our products and services. We look forward to hearing from you soon! 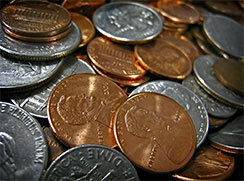 Earn federal tax credits on qualifying products!